Build your own effects pedal with this easy-to-mod platform. 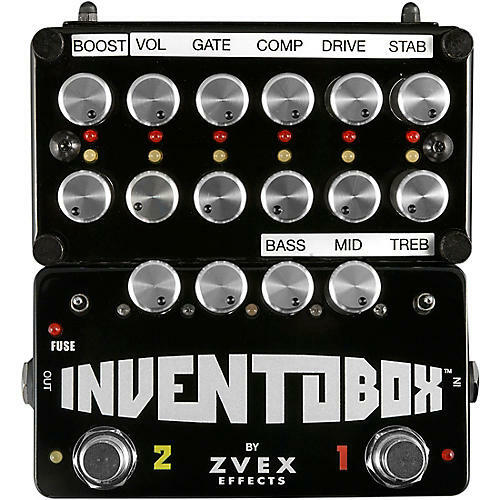 The ZVex Effects Inventobox is a unique product that allows you to quickly design, build and/or modify your own pedals without soldering. It comes fully loaded with Fuzz Factory, tone stack and Super Hard On modules. Or you can unload it to start from scratch!